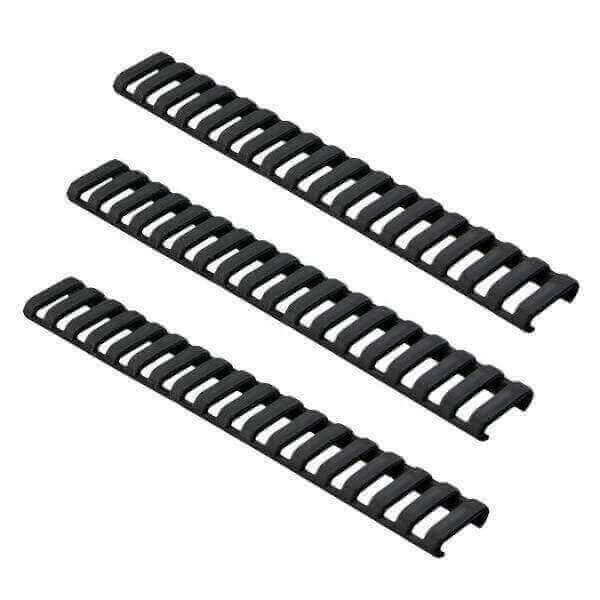 This pack of 3 Ladder Panels is perfect for covering sharp edges on railed AR-15 handguards and customizing the look of your build. The panels offer very low-profile 1913 Picatinny rail coverage. The Santoprene material provides a rubbery surface for improved weapon control and rail protection. Manufactured by Falcon Industries, Inc.